Our attention to every detail during a Civil Engineering or Demolition project, puts us proudly at the forefront of our industry. AR Demolition contractors work in Leicester, Leicestershire and the surrounding counties. We are committed to ensuring client satisfaction by providing unique solutions to any problem we may come across. With a number of high profile contracts completed, you can trust our team to deliver the skill and quality you require. AR Demolition manages all aspects of the demolition process including asbestos removal, land reclamation and recycling. Every project carries its own potential risks but you can rest assured that AR Demolitions company health and safety management will be at the heart of our commitment to you. We are a team of highly professional civil engineers, who will deal with the design, construction and maintenance of your project within the Leicester, Leicestershire area and beyond. We can utilise or in-house expertise in order to maximise our clients program and budget, such as – cut/fill exercises, piling mat installation, reduced level digs and bulk excavation. We strive to provide the best possible service through our provision of our highly qualified civil engineering workforce, our investment into the latest tools and plant, commitment to continually improve and a ‘hands on’ approach to commercial partnering. 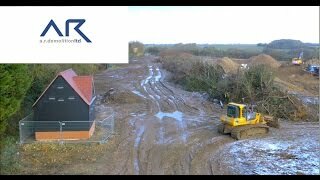 AR Demolition looks forward to hearing from you, should you require a skilled civil engineering company in the Leicestershire area.